A recent High Court ruling has demonstrated that the “natural and ordinary meaning” of words trump the “overall purpose” of the Will when it comes to interpretation. Jump and another v Lister and another  EWHC 2160 (Ch) involved an elderly married couple who made mirror Wills in 2010. Both husband and wife died in 2011 under circumstances in which it was impossible to determine who died first. As in such an event, as per section 184 of the Law of Property Act, the younger spouse (the husband in this case) was deemed to have survived the elder (the wife). Given that both gifted their residuary estate primarily to the other, with provision for pecuniary legacies to only become payable should that primary gift fail, most would assume, naturally, that the estate of the wife would pass to the husband, whose estate in turn would then be distributed as per his Will and the pecuniary legacies paid out from his estate only. However, the inclusion of standard survivorship clause in both Wills threw the proverbial spanner into proceedings and frustrated, what was commonly agreed to have been, the couples’ intentions. as well as the pecuniary legacy from the husband’s estate. This means the pecuniary legatees would be raising a glass in celebration as they would have received twice the amount they were originally intended to have expected. The essence of the matter was that the judge found that the use of the phrase “any person” in the survivorship clause meant that it clearly included the husband. Arguments made by the defence that there was evidence, and common sense, indicating the couple did not intend a double payment for the pecuniary legatees, were ultimately unsuccessful. Despite significant reference to other authorities that illustrated the flexibility when it comes to Will construction and the fact that the judge agreed that extrinsic evidence may be admissible when determining construction, the defendant’s arguments were ultimately ineffective. At the risk of sounding like my teacher on day one of the ‘Introduction to Drafting’ class, this ruling reiterates the age-old lesson: be careful of using precedents wholesale. A final thought on the issues this case raises. Whilst there is the sensible reasoning attached to including a survivorship clause to avoid assets passing through probate twice in a short space of time, do the overall advantages of the survivorship clause still outweigh the potential pitfalls? Whilst this ruling could be appealed and overturned, it does highlight that married couples appear most at risk from the inclusion of survivorship clauses in mirror Wills. Coupled with the other significant risk that increased IHT may be due if they both die at the same time, if a survivorship clause is included in a married couples’ Wills, the default position for such couples appears to be to not include one. If you are looking for legal advice on your Will, please call us on 01892 510 222 or fill in our online enquiry form. Matt joined Buss Murton in 2016 as a Trainee Solicitor after completing his GDL at Oxford Brookes, where he achieved a Distinction and won the GDL Prize, and his LPC at the University of Law, Bristol where he also gained a Distinction. Prior to beginning his legal career, Matt taught English at a high school. 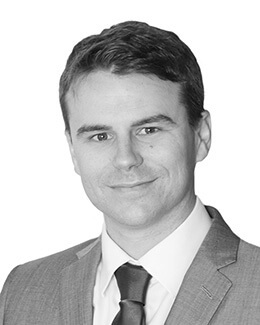 Matt qualified into the Commercial Department in October 2018 specialising in Company Commercial and Commercial Property matters.